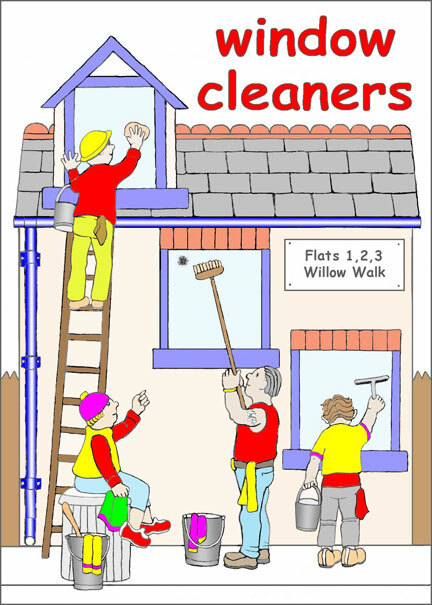 The window cleaners wash windows in Willow Walk on Wednesdays. Choose any page from the list in the left column. To download a printer friendly version of this page with a black and white copy to colour in, click the link beneath the picture. ...complete colouring book with Black & White and Colour pages.